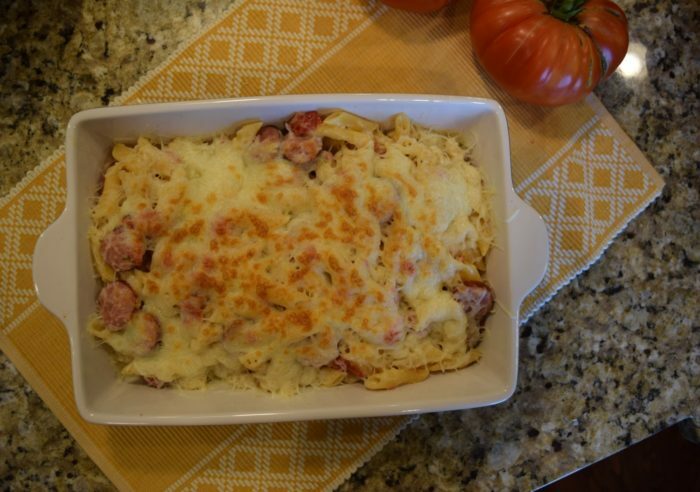 This spicy sausage pasta recipe is one of my all time favorites. 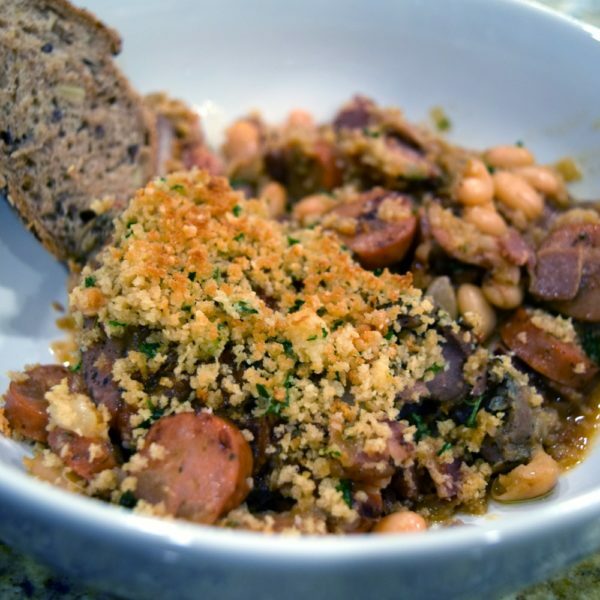 It originally was a one-pan, stove-top recipe, but it adapts quite well to the Instant pot. 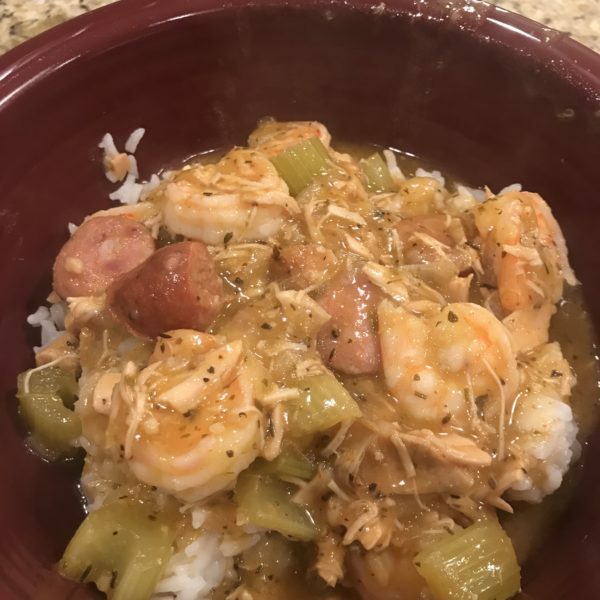 Why make it in the instant pot instead? Well, sometimes you might not want to heat up the stove, or perhaps you do not have a stove available. 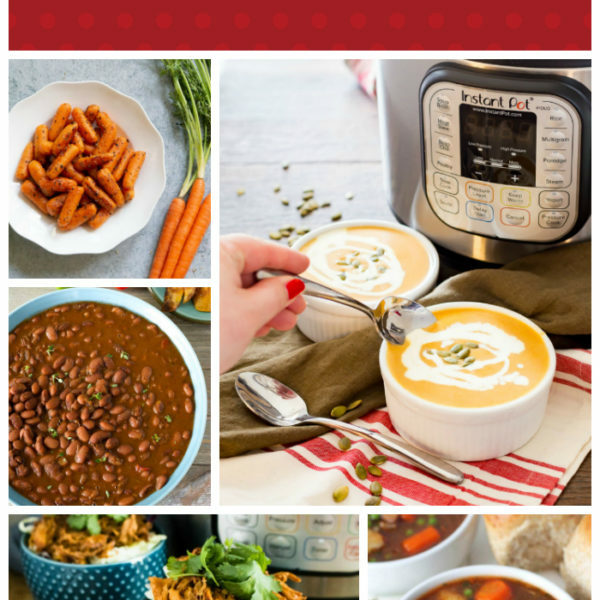 Or, maybe you just want to use your Instant Pot! I bake this to brown up the cheese after cooking, but you don’t have to do that step if you do not have an oven available or do not want to heat up the kitchen. The ingredients for this recipe are simple. Be sure to get Rotel over plain diced tomatoes because that is what give this recipe its spice. Mild Rotel is plenty spicy. 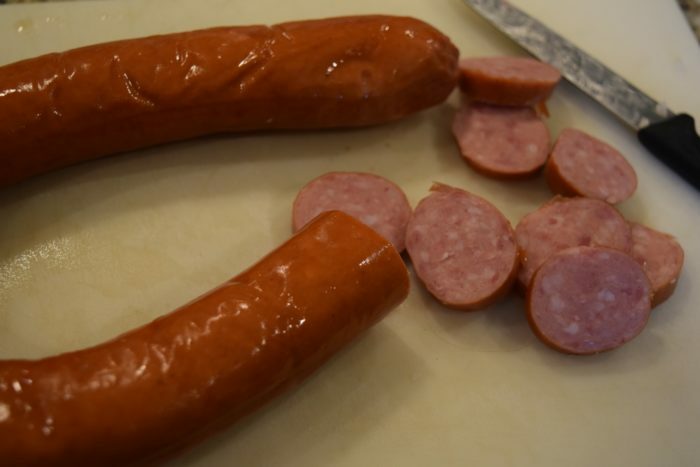 I use a regular smoked sausage, but you can sub turkey sausage or beef if you prefer. 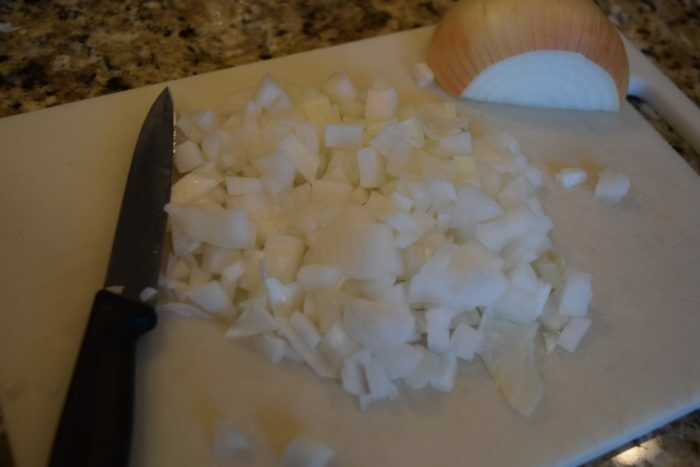 You can use either fresh or prepared minced garlic. Start off my dicing some onions. I use half of a large onion. 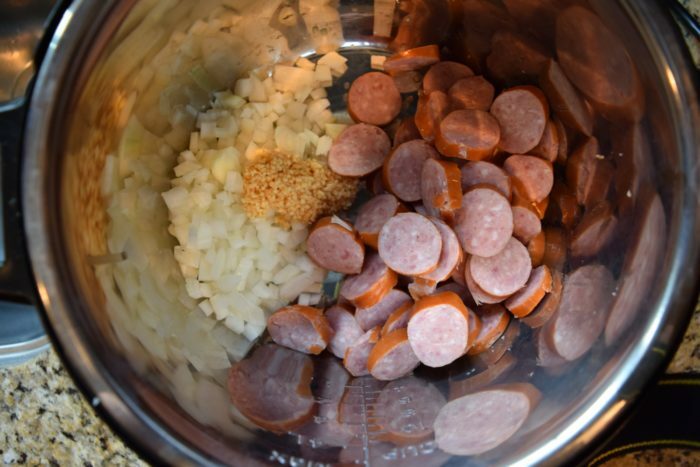 On saute mode, cook the onions, garlic and sausage until the onions are soft and the sausage starts to brown a bit. 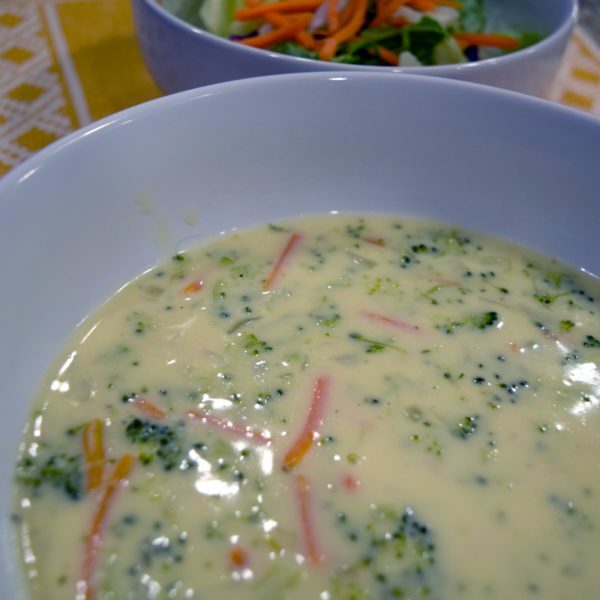 Then, add your pasta, cream, and broth. Pressure cook for five minutes and then use quick release. 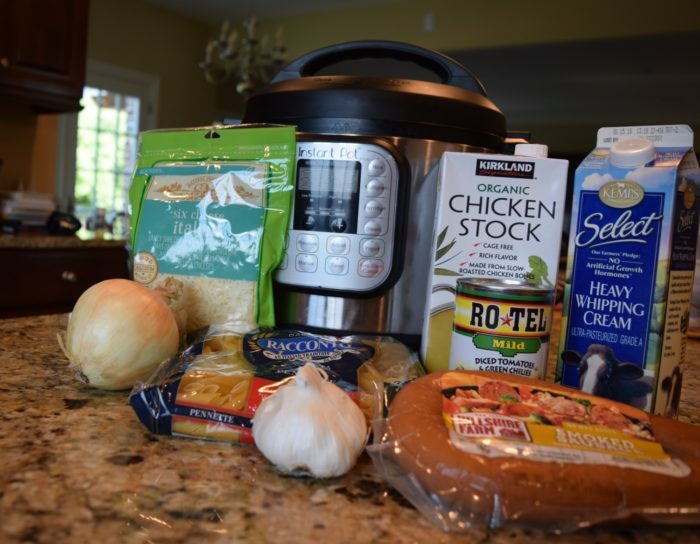 A few tips for cooking pasta in the instant pot: a good rule of thumb for pasta is to cook for half the time listed on the package minus one minute. Mine said 12, so I did 5 minutes. Also, if you have any issue with foam coming out during quick release (I did not with this recipe), use a long handled spoon or tongs and pulse the lever pack and forth from seal to vent. 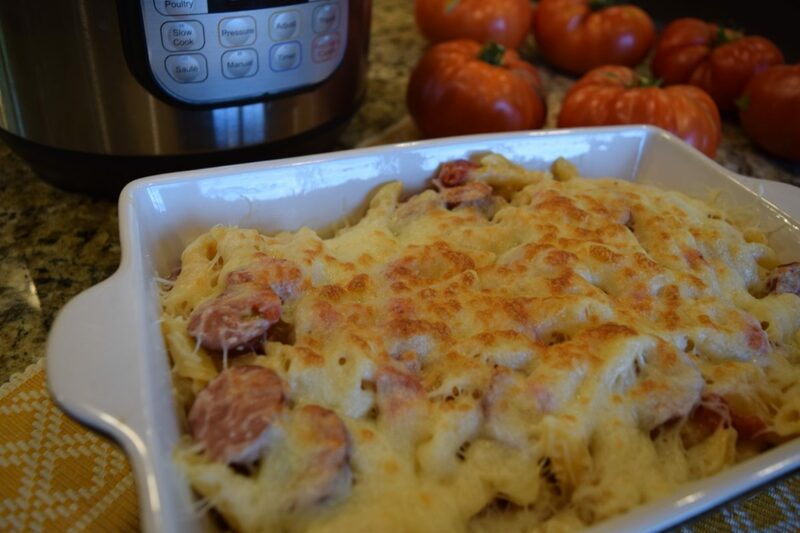 The starch in pastas will sometime foam. When done, stir in the cheese and allow it to melt. If not baking, stir it all in. If baking stir in half, transfer to a baking pan, and put the other half on top. Broil until the cheese browns and then enjoy! 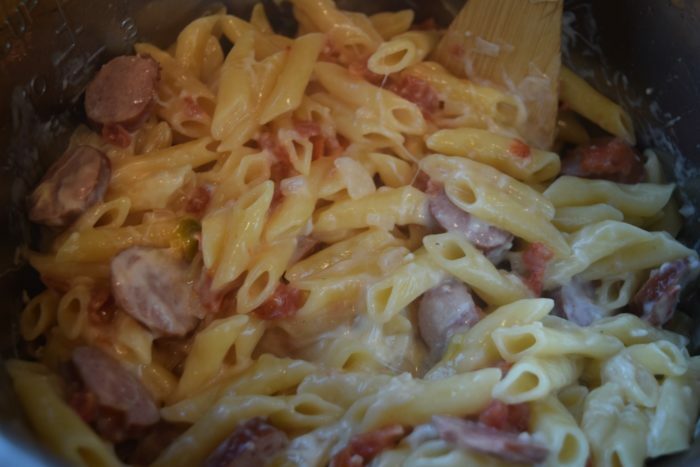 If you prefer to make this spicy sausage pasta on the stovetop, simply use a covered skillet instead of the Instant Pot and simmer for the amount of time listed on your pasta package. So, there you have it! 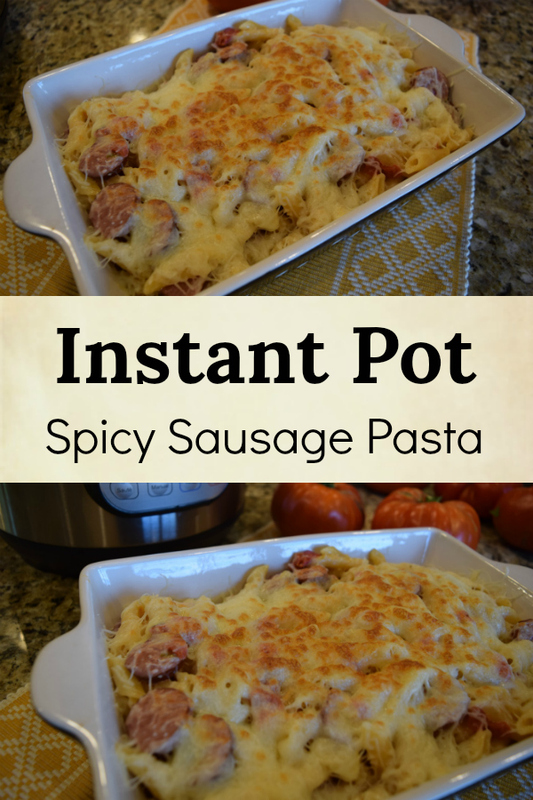 Instant Pot Spicy Sausage Pasta. 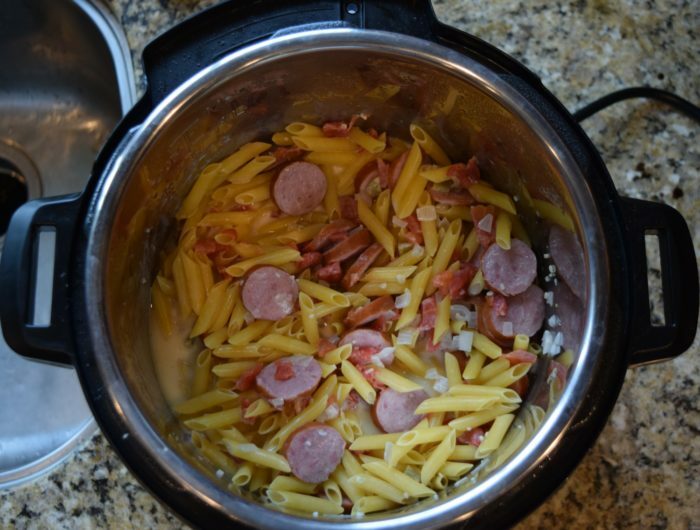 Instant Pot Spicy Sausage Pasta. 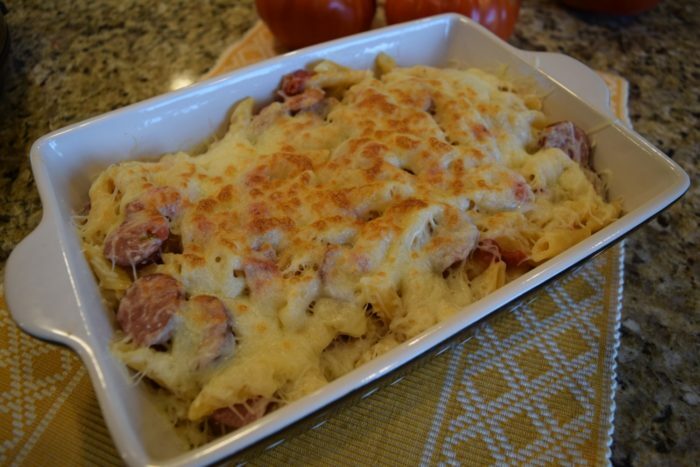 This recipe can be made either in the Instant Pot or on the stove top. On Saute mode cook until the onions are soft and the sausage begins to lightly brown, about 5 minutes. Add the chicken broth, tomatoes, cream, pasta, salt and pepper and stir. Cook on high pressure for 5 minutes or for ½ of the time listed on the pasta package minus one minute. 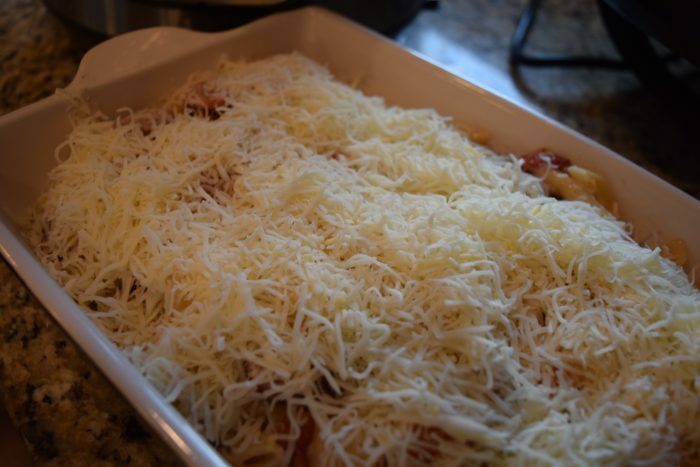 Transfer to a baking pan and add the other half of the cheese on top.